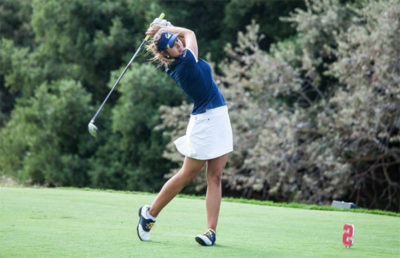 The Cal women’s golf team ended their regular season with a bang. The team entered the Silverado Showdown in Napa and finished second overall in a field of 17 teams — their best finish of the spring season. Not only was this by far the best finish for the Bears, but the win came at no easy price as they defeated eight ranked teams, including No. 1 UCLA. No. 8 USC won the tournament by a comfortable margin, shooting five under par as a team. The Bears’ first round Sunday set the tone for the Bears’ entire tournament. After the first 18 holes, Cal sat atop the leaderboard at fourth place with a score of 293, nipping at the heels of UCLA and No. 13 Arizona, both of which shared a tie for second with a score of 292. 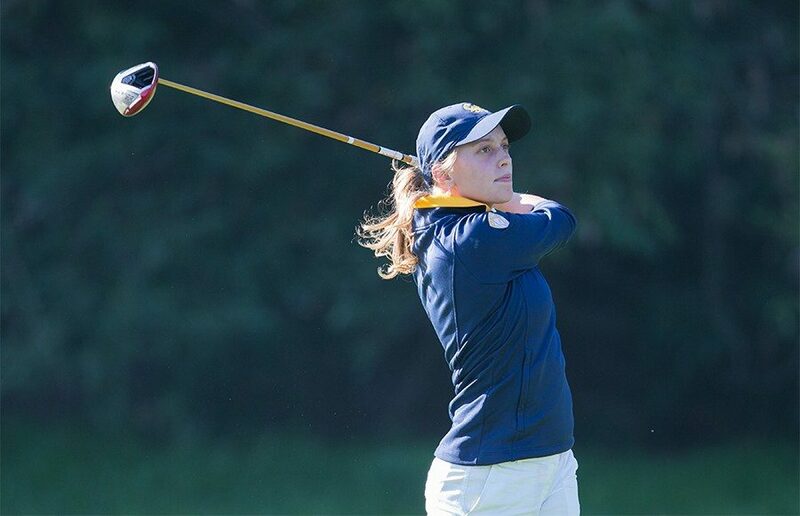 Individually, the Bears were on a roll Sunday, as two players finished in the top 15. This set the tone for Cal, as it played its best and most consistent round all season. Sunday’s outing featured sophomore Jiyoon Jang’s best round since her return from injury two weeks ago in San Diego. 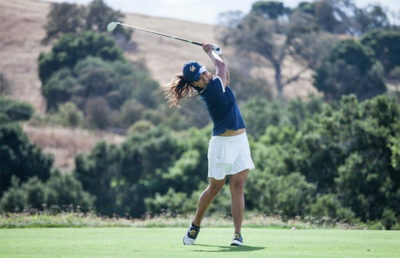 Jang finished tied for second overall on the individual leaderboards, ahead of the four top-10 players in the country who were at the tournament, including No. 1 junior Lilia Vu from UCLA. Jang finished her round with four birdies and no bogeys, demonstrating incredible consistency and focus on the challenging course. Junior Marianne Li had a great first round as well, shooting one over par (+1) with two bogeys and one birdie to finish T-12 overall. The Bears built on their success in the second round, finishing at three over par (+3, 291), two shots better than Sunday. Despite their strong play, the team dropped in the standings and finished the round in fifth place. Jang maintained her second-place spot on the individual leaderboard after shooting one under par (-1) on the day, while Li advanced up the leaderboards, finishing T-11th overall. 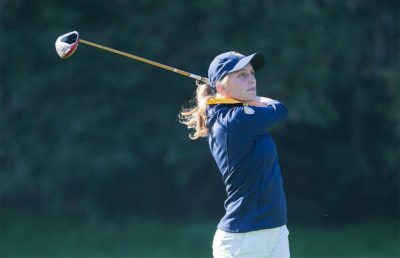 On the final day of the tournament, the Bears once again improved their score, jumping three spots on the leaderboard to finish the tournament in second place. The team’s best round of the season was defined by a level of consistency unseen from the team all season. Jang shot two under par (-2) on the day, bringing her tournament total to seven under par (-7) — landing her the third overall individual spot. The rest of the team followed suit as Li and senior Marthe Wold both secured top-20 finishes. In this week’s showing, the Bears finally displayed their collective talent up and down their lineup — something they had simply not been able to do all spring. Not only did the Bears defeat some of the best teams in the country, they also defeated seven teams that they’ll meet in two weeks at the Pac-12 Championship. If there was a time of the year to peak, April is it, and the Bears have certainly hit their stride just in time. With all of their players healthy and Jang locked in, this team is showing signs that they could be a dark horse in the Pac 12 Championship, which boasts several top-ranked teams. The Bears will take on the rest of the Pac-12 starting April 22 at the Broadmoor Golf Club in Seattle.